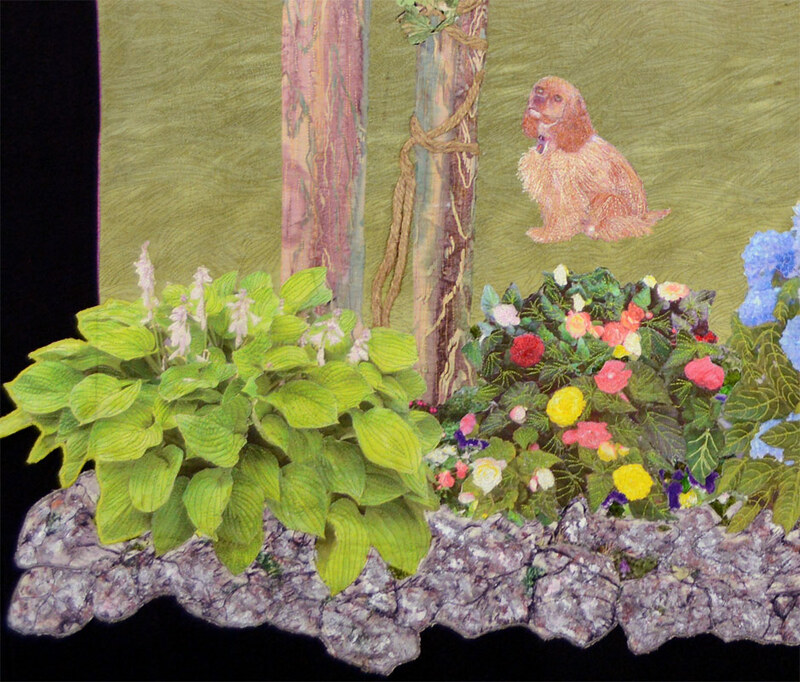 I love the foreground in this quilt because I took photos of some of the plants and flowers in my garden, then scaled them to the correct size, and printed them on computer ready fabric for this design. 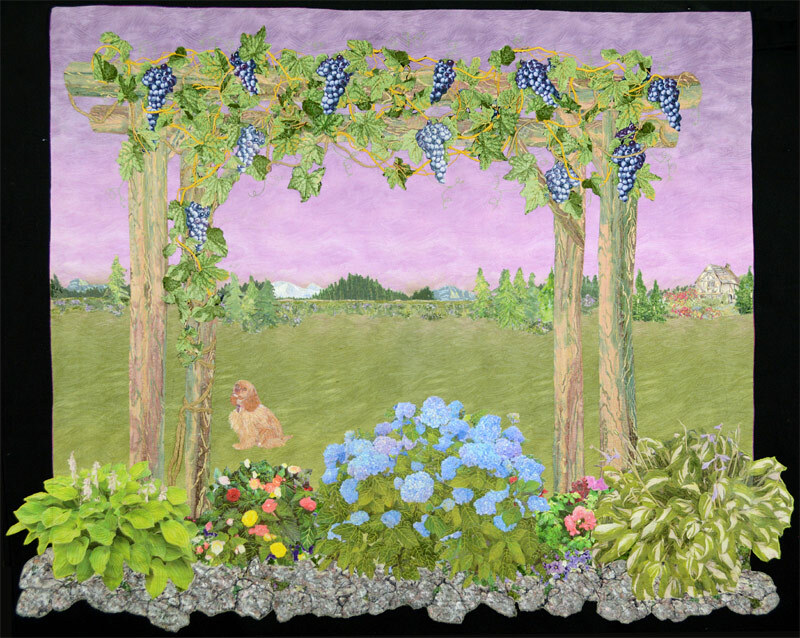 Since I don’t particularly like the rest of the quilt, I am thinking about “cutting the foreground away” and creating a new garden quilt. I do like the doggie, though – it’s Blondie, our Cocker Spaniel!